A FAMILY JOURNEY OF NATURE BASED PLAY, EARTH SKILLS AND VILLAGE LIFE! By joining our Online Newsletter TRIBE you’ll be first to hear about our wild adventures, upcoming programs and special offers! Nature Philosophy offers personal transformation and deep nature connection through bush survival skills, sacred ceremony and wild sourced wisdom. Time and time again we see our tribe deeply embrace the natural world, experience full body awakenings and soul level transformation. All of us at Nature Philosophy would like to show our profound respect and love for all indigenous communities around the world. We acknowledge that indigenous wisdom is a global knoweldge bank held by humans from all races and countries. Primitive skills are the original survival skills which all humans once used in order to live in harmony with the earth. Nature Philosophy programs help to share these skills and keep them alive in the modern day. We acknowledge the traditional custodians of the land, of our ancestors and elders - past and present, on which our programs take place. 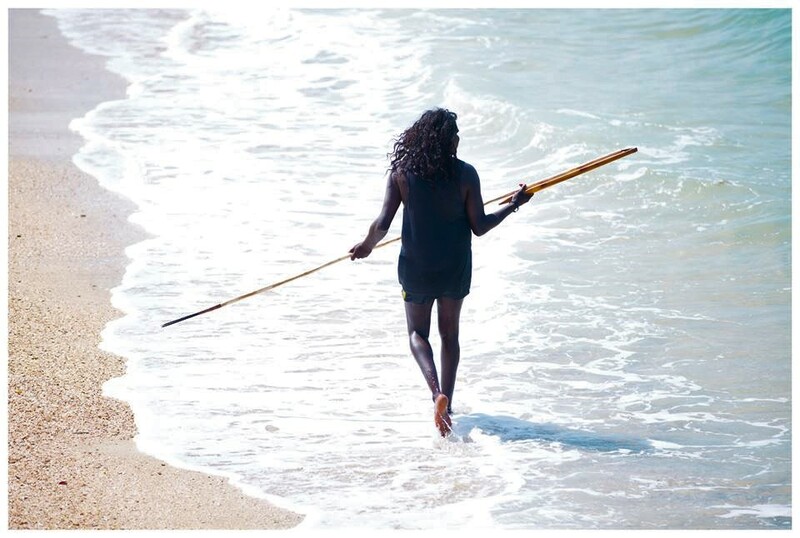 With a special recognition to the elders past and present from the Gumbanyggirr people of the North Coast of NSW, Tom Brown Jr of The Tracker School, USA and our adopted Yolngu families of North-East Arnhem Land. Inaugural Fiery Fridays Face Book LIVE! Fiery Fridays will be a regular LIVE fire side virtual offering from Sam & Kate on our Nature Philosophy Facebook page. I’m thrilled to announce Nature Philosophy WOMEN’s 5 Week Online program is now OPEN! Kate Rydge, Nature Philosophy Founder, sharing her inspiration for offering the Feminine Mastery Online Program. Share in the magic of the Wild Village Family Camp! These camps are offered during the school holidays. Kate & Sam’s most recent Fiery Fridays Face Book LIVE with Kate & Sam. Let’s put the fire in your Friday! The Founders of Nature Philosophy Australia - Sam Robertson and Kate Rydge - have been sharing bush survival skills and guiding deep nature connection experiences since 2004. Nature Philosophy programs are inspired by our direct experiences with the natural world, our various mentors and the undeniable power of earth based skills. Our current programs draw broadly from these dynamic rivers of wisdom and knowledge. All Nature Philosophy programs are powerful wilderness experiences which encourage the transformation of modern culture and your personal transformation through deep nature connection. Dan graduated from Nature Philosophy’s Year Long Guunuwa Program in 2010. He is a qualified Vision Quest Protector and Life Coach. He has a true passion for earth-based skills and holds a key role in delivering adult Nature Philosophy Programs. JJ is a qualified environmental scientist, holds an expert skill set across numerous survival areas and has spent many years exploring his unique relationship with nature. He is a Lead Instructor at Nature Philosophy’s core survival skills programs - Nature One, Two and Three.